Introducing the new SS19 bedding collection from one of our favorute brands, Bluebellgray. This season Blubellgray explore the lush greenery and growing landscape around the Ettrick and Yarrow valleys in the Scottish Borders. Wild flower gardens and greenhouses brimming with fruits and vegetables are painted in an eclectic mix of stylized marks, chalky brushstrokes and signature watercolours. Deep blue inky tones reflect the ever changing sky, while block colours evoke aerial views of fields from above. Artichoke, chard, radish and pomegranates mixed with delicate sweetpeas come together creating a contemporary and spirited collection. 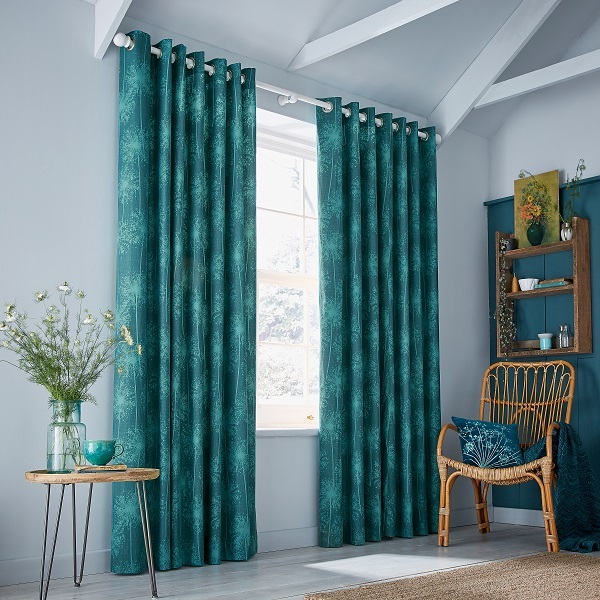 Big Pomegranate - The super scale Big Pomegranate design features stylised, bold inky brushstrokes, in a vibrant teal shade. This contemporary design is complete with a soft pink tassel on each corner, adding a playful twist. Sweet Pea - Painted from home grown sweet peas from her garden, Fi creates a delicate and fresh floral design for Spring, painted in signature Bluebellgray style. Watercolour florals cascade across the bed in an uplifting colour palette of coral pink, chartreuse green and dusty blue. Wee Pomegranate - The small scale Wee Pomegranate design features stylised, bold inky brushstrokes and deep blue tones. The design is finished with a vibrant blue tassel on each corner adding a playful twist. Drawing inspiration from centuries old latticework of tradition al West African patterns, Dar Leone’ s new Oceana collection celebrates craftsmanship, heritage and culture. Staying true to the brand’ s love of geometric and historical African textiles, Oceana is designed to complement the brand’ s current collections and pieces. Handmade in the UK, the collection includes hobo bags, makeup bags and cushions printed on cotton sateen available in 4 colourways. Prices range from £36 to £89. Launched in 2012 by Isatu Funna, lifestyle brand and boutique Dar Leone handpicks pieces from across the globe, bringing them into the comfort of your home. A carefully chosen selection of unique everyday items, sourced from founder Isatu’s travels, are complemented by a contemporary range of products designed and handmade in London. All textiles are designed by the brand. 2019 marks the centenary of the Bauhaus art school, established in 1919. 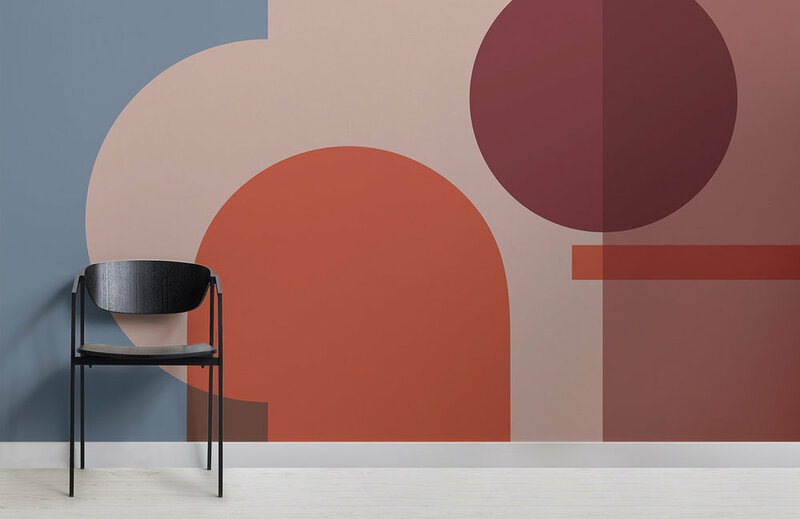 To celebrate, MuralsWallpaper have designed a signature new collection that references classic Bauhaus shapes and colours, scaled up as murals in a modern interpretation of the movement. These statement surface designs by MuralsWallpaper incorporate flat concrete textures inspired by Bauhaus architecture, and transform Bauhaus' iconic primary colour palette to tones that make them more accessible and ideal for modern home decoration. The overlaying of colours and shapes that make up the murals are inspired by the colour theory work of Bauhaus' Josef Albers and by László Moholy-Nagy, a professor at the art school who explored perspective in his paintings. Featuring layered architectural shapes and shifting directions, the murals use minimal lines to present a contrast of sharp angles and soft, curved shapes. 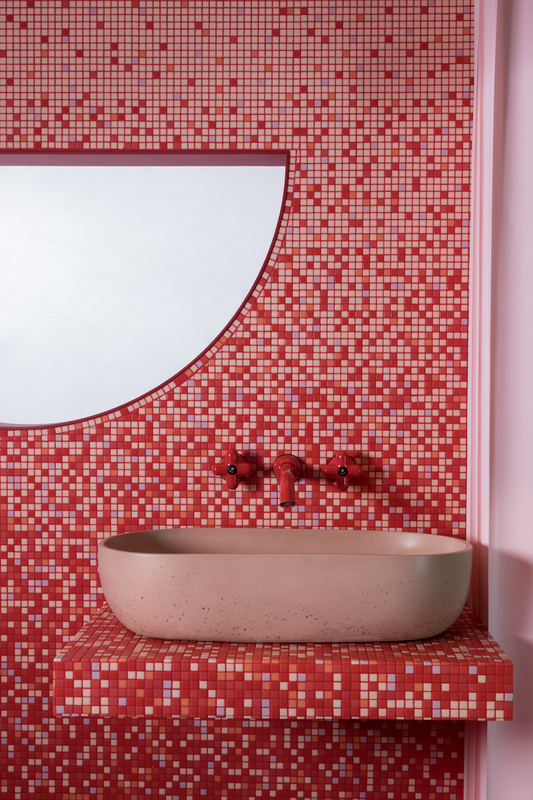 The simplicity of the geometric forms and colours come together to make a bold impact. These wall mural designs capture the dynamic, asymmetric forms of original Bauhaus exhibition posters, on a scale that is simply not possible using traditional on-the-roll wallpaper. From dedicated design enthusiasts to all who unknowingly experience the great influence of Bauhaus in the designs they see everyday, everyone can celebrate Bauhaus in a big way at home with these six murals - Neues Sehen (new vision), Perspektive (perspective), Kreis (circle), Bilden (form), Dreieck (triangle) and Dessau (German city home to one of the three Bauhaus schools). The vision of Bauhaus paved the way for graphic design and the modern age. 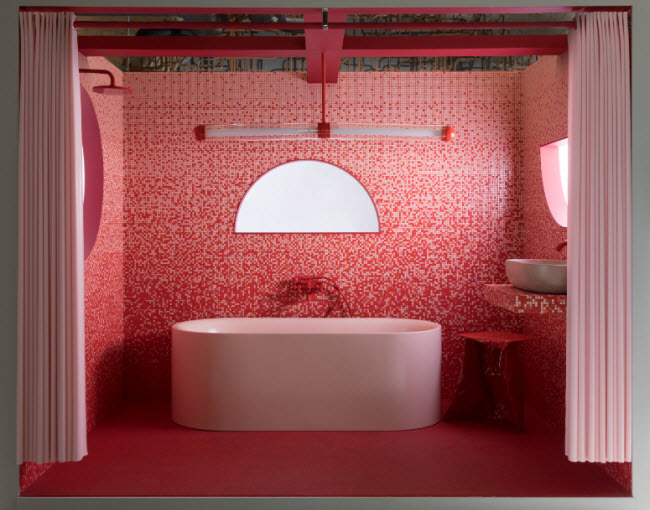 100 years on, its incredible influence can be seen all around and continues to be explored in interior design. In celebration of Carl Hansen & Son’s 110-year anniversary on 28th October 2018, the furniture manufacturer presents Hans J. Wegner’s iconic Wishbone Chair in six new anniversary colours with limited availability. Hans J. Wegner – celebrated as the master of the chair – had an experiemental approach, not only when it came to forms and materials, but also when exploring colours. 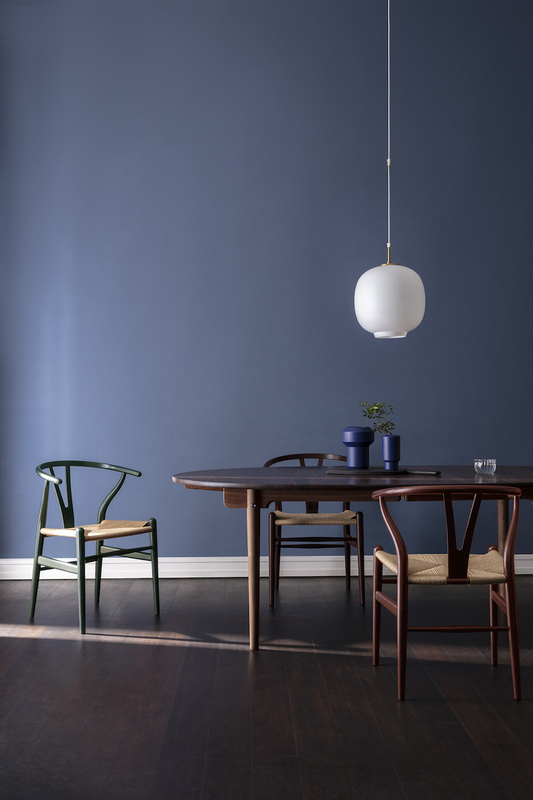 Therefore, Carl Hansen & Son highlights the Wishbone Chair’s numerous possibilities for variation and visual style by introducing this 1950s design icon in six new colours inspired by nature. The new anniversary colours are deeply rooted in nature – forests, beaches and woodlands – and appear in deep, elegant and soft shades. The earth tones Rosy Blush, Russet Red and Deep Burgundy are contrasted the more tranquil Oyster Grey, Forest Green, and Deep Olive; all evoke a sense of connection to our natural surroundings and a warm and inviting ambience. The Wishbone Chair in these six new colours has a handwoven seat in natural paper cord and is exclusively available from 28th October to 31st December 2018. The special anniversary price is £500 including VAT. 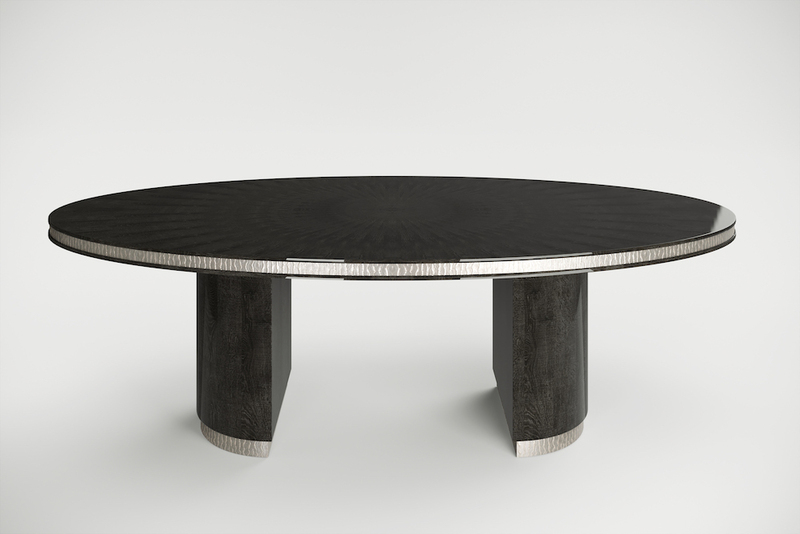 Find more info at www.carlhansen.com. 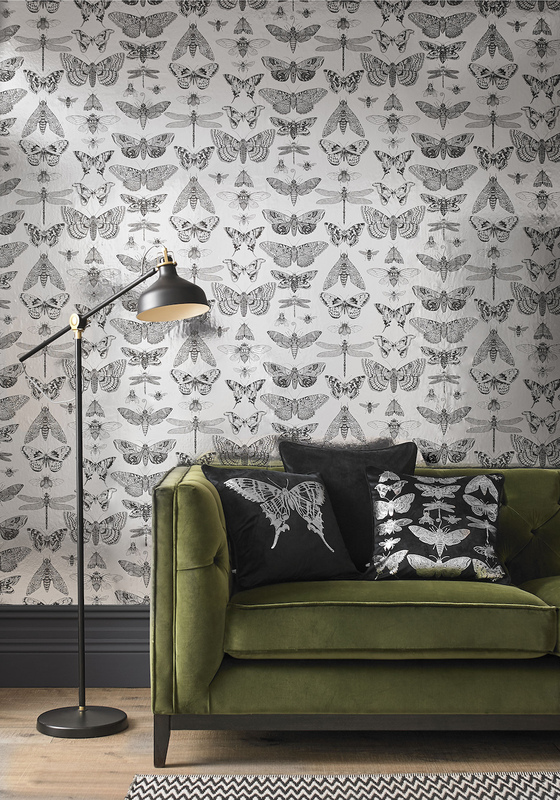 This pressed leaf wallpaper design gives the popular pressed flower style a cosy update as the colder months start to creep in. Featuring a mix of Autumnal leaves in warm tones that sum up the season, this wall mural is a style-conscious way to bring the comfort of Fall into your interiors. It's easy to fall in love with Fall - with the fresh feeling in the air, pumpkin-spiced everything and, most of all, the reds, oranges and yellows all around as leaves fall to the ground and welcome the change in season. This new pattern wallpaper design by MuralsWallpaper shows a new take on the pressed flower trend of Summer, using crunchy fallen leaves to capture the essence of Fall. The pressed leaf mural design is great for anyone looking to decorate for a cosy feel, but also wants a beautifully high-design and unique look. Perfect for putting in the places that should feel cosiest, such as the bedroom, living room, dining room and more. Each and every snazzy new sofa from Lovely Sofas is made to order in their Lancashire workshops which means customers can pick their own fabric from any of the beautiful fabric collections on offer. There are clever velvets, cosy wools, and textured weaves to name a few, all perfect for creating an inviting sofa to nestle into on a cold night. But what about the colour? There are lots of pleasing shades to choose from making it super easy to stay on trend this AW18. Don Large Sofa - Shown here in Downton Marigold Luxury Velvet. This rather refined sofa plays nicely with all sorts of décor. Its design is simplicity itself, with a fixed upholstered back rather than cushions and wooden legs rather than a base frame. Just add a cat, a dog or some kids and you’ll feel right at home. Amalfi Fresco wallpaper from Graham and Brown. Whether it’s baby pink, soft dusky pink or bright bubblegum we are loving this feminine shade in our homes for this coming season. Pink works really well with other pastel colours and is thought to bring warmth to a room, perfect for the seasons ahead. Jewel colours are great for the festive season and bring a touch of glamour to the home. Shown above is the gorgeously stylish Gracie Love Seat, featuring comfy scatter back cushions and elegant piping on the arms. Alternatively, for something more formal, the Lottie Sofa below boasts a traditional deep buttoned diamond design on both its back and high sides making it supremely welcoming. Last but certainly not least, where would we be without a splash of gold in our homes and the trend forecasters are predicting it will be used with even more impact this AW season. Forget small token accessories and go bold it seems! 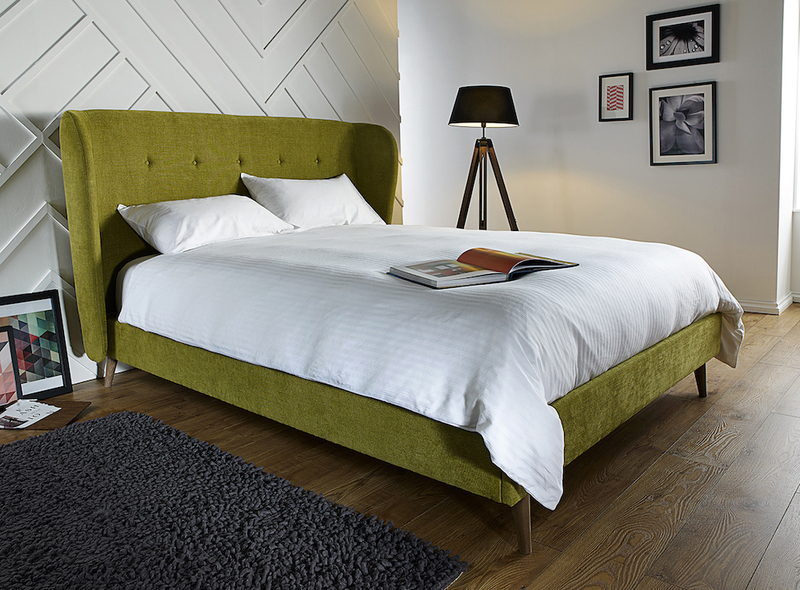 The Linda Sofa looks absolutely gorgeous in this luxurious colour, shown below in soft clever velvet. 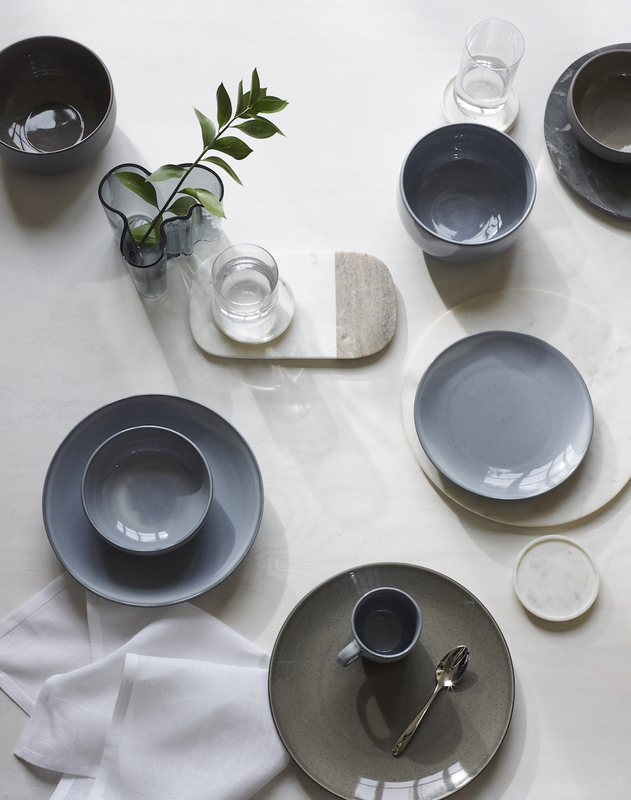 A brand new trend for AW18 from John Lewis & Partners, Nordic Retreat combines classic Scandinavian craftsmanship with interesting textures and designs to create a sophisticated, yet subtle, look and feel. A contemporary and versatile trend designed for all living spaces, highlights include the understated Grayson Dressing Table and stylish Hiko lighting collection. 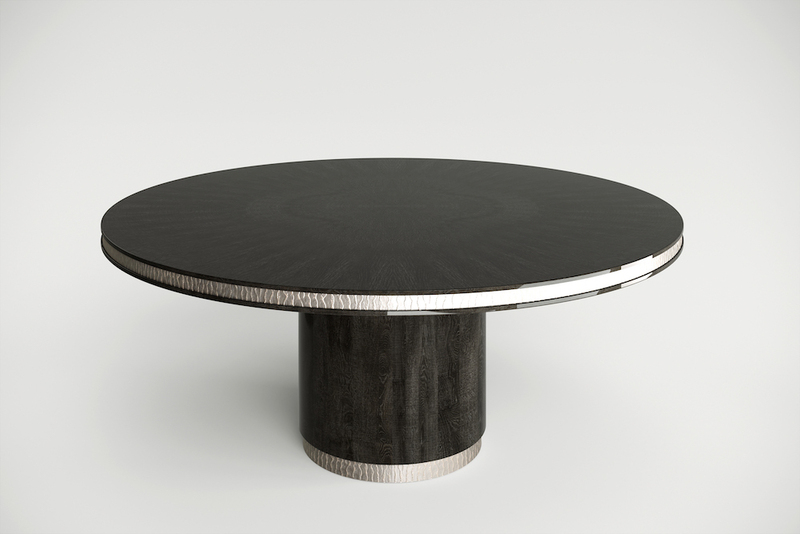 Nordic Retreat was designed for homeowners to easily update their living spaces with simple accessories, smart occasional furniture and stylish larger pieces in a mix of natural woods, smoked glass and ceramics. A warm and inviting neutral palette of off white, soft greys and cool blues, is contrasted with pops of global inspired colours and hints of gold.